In the world of entrepreneurs, and self-made millionaires there are many different ways that people make their riches. It can come from companies, investments, and real estate or in the case of Greg Selkoe, Websites. Yes, Selkoe was born into a rich family. His father was renowned Alzheimer’s researcher Dennis J. Selkoe. But the millions that he has made, the success he has had with Karmaloop, was all his doing, he built the company from the bottom up, with no help from his parents money. Selkoe got into a little trouble as a teenager and went to reform school. He soon turned his life around and graduated from Rollins College in Florida. He got a job as an urban planner. This position would help him a lot when he started his Website Karmaloop. After he met his wife, and while they were still living with his parents, he decided to quit his job as an urban planner and went to Harvard to get a masters degree in public policy. At the same time Selkoe and his wife decided to pursue their dream of opening a store, selling street-wear. They started by selling a limited inventory, but they focused on well-known brands. 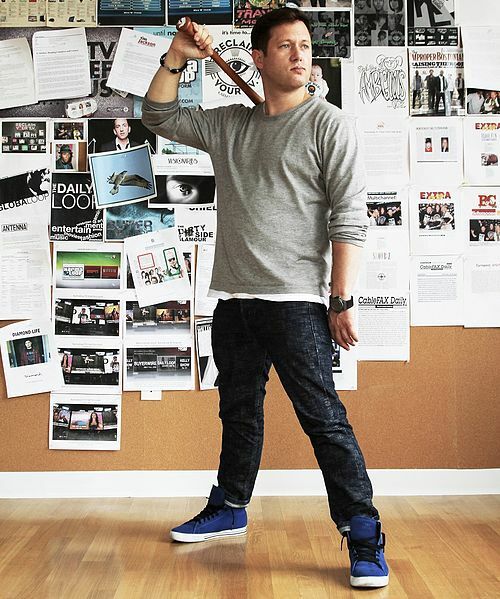 They started the Website, an online magazine where people could order all of the street-wear. And they got major players like Reebok and Adidas to sign with them by promising them that though they may not be their biggest customers, they would represent them better then anyone else. And a lot of major companies bought it and Karmaloop soon took off like lightening. Street-wear is very popular. It is utilitarian clothing that’s artfully flashy and moderately expensive. Because of its style and high price, it’s considered high fashion. The Website slowly took hold and soon it was making a lot of money. Most of their customers are in between the ages of 18 to 25 but that does not mean that they do not get people from all ages buying their products. Selkoe and his wife both, who are in their thirties wear a lot of street-wear, as a lot of their friends do. They have stars like Own Wilson and Robin Williams who buy from them on a regular business. They now have a store on Newbury Street but they still get 95% of their business through their Website. The Website has come a long way since the Selkoes sold clothes out of his parent’s bedroom. It is now a global website. With about two and a half million website visitors each month, with projected sales of around forty million dollars a year. And Selkoe has new ventures beginning as often as he can, like KarmaloopTV and Junglelife.Com. This self-made millionaire has only began to sink his teeth into the millionaire’s life.